Looking for a quick and easy alternative to your everyday staples? Check out these Moroccan-spiced deep-fried potatoes are easy to make and a delicious change from French fries or baked potatoes. 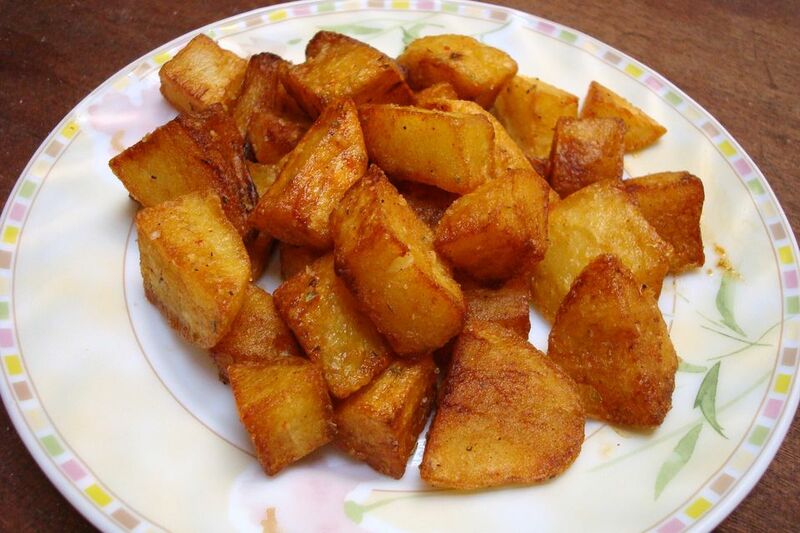 Serve these deep-fried cubed potatoes as a side to tagines, fried fish, eggs, grilled meats or sandwiches. Peel the potatoes, and cut them into cubes 1/2- to 3/4-inch thick. Wash the cut potatoes, and let them drain. In a small bowl, mix together the salt, paprika, white pepper, black pepper, thyme or oregano, and garlic powder and set aside. Heat oil in a deep fryer to 350 F (180 C). Pat the potato cubes with paper towels to remove excess moisture and add them to the deep fryer. Fry for about 15 minutes or until deep golden and tender. Toss the cooked potatoes with the butter and reserved spice mixture. Serve immediately.